THE COMMUNITY ENERGY DASHBOARD IS ABOUT SHAPING YOUR COMMUNITY'S ENERGY FUTURE...SUSTAINABLY. The State of Vermont has a bold goal: to meet 90% of its energy needs through increased efficiency and renewable sources by 2050. The Community Energy Dashboard helps your community shape its energy future at the local level with a powerful suite of interactive tools to set goals, track progress, map actions, share stories, and hear from trusted neighbors. The Dashboard helps translate Vermont's goal of 90% by 2050 into achievable local action across all energy sectors - efficiency, heat, electricity and transportation. WHY WAS THE DASHBOARD DEVELOPED? There is no greater challenge - or opportunity - for Vermont than to change the way we use and produce energy. By making smart energy investments, we can save money, build our energy independence, create jobs and reduce our carbon footprint to help preserve the beautiful landscape in which we live. Communities across Vermont are asking for concrete ways to make clean energy and efficiency choices at the local level and accelerate action by learning from each other. Timeline: Track your community's progress towards meeting 90% of local energy needs through efficiency and renewables by 2050. Campaigns: Energy campaigns help generate concrete action on the ground by mobilizing communities around energy goals. Actions: Add your individual, business, municipal, school and farm actions through fun tiles and watch collective impact build in your community. Pledges: Pledge to take energy actions in your home, business, farm or in your community. The Dashboard will occasionally remind you of what you pledged in order to keep track of progress. Analysis: Keep track of and share your key local energy data and analyses. Reach a broader audience and help other towns avoid reinventing the wheel. Stories: Learn from your neighbors and inspire others to action. Energy Atlas: Map your town's existing renewable energy and efficiency sites, identify new potential sites based on environmental resources and constraints. Statistics: Track local renewable energy sites and production data, see how you rank against other towns, crowdsource data on efficiency projects. Resources: Links to important resources, energy information and partners to help towns accelerate their progress towards a sustainable energy future! HOW CAN YOU USE THE DASHBOARD? The Dashboard was created by the Energy Action Network (EAN) and the Vermont Sustainable Jobs Fund (VSJF) together with partners from the Vermont Energy Investment Corporation (VEIC), the Vermont Energy and Climate Action Network (VECAN - VNRC), the Department of Public Service (DPS), Green Mountain Power (GMP), and Efficiency Vermont. We would like to thank our generous funders: VLITE, the US Department of Energy, and the Vermont PSD. 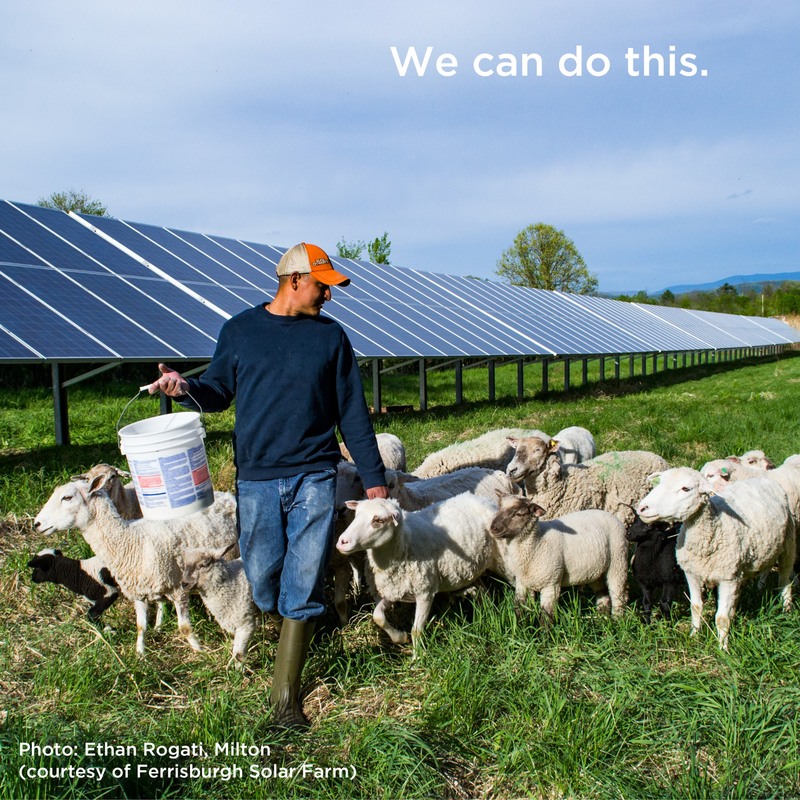 Energy Action Network (EAN) is a diverse group of businesses, nonprofits, public agencies, educators and other high-level stakeholders across Vermont seeking to advance the state's transition to a sustainable energy future through efficiency and renewables.